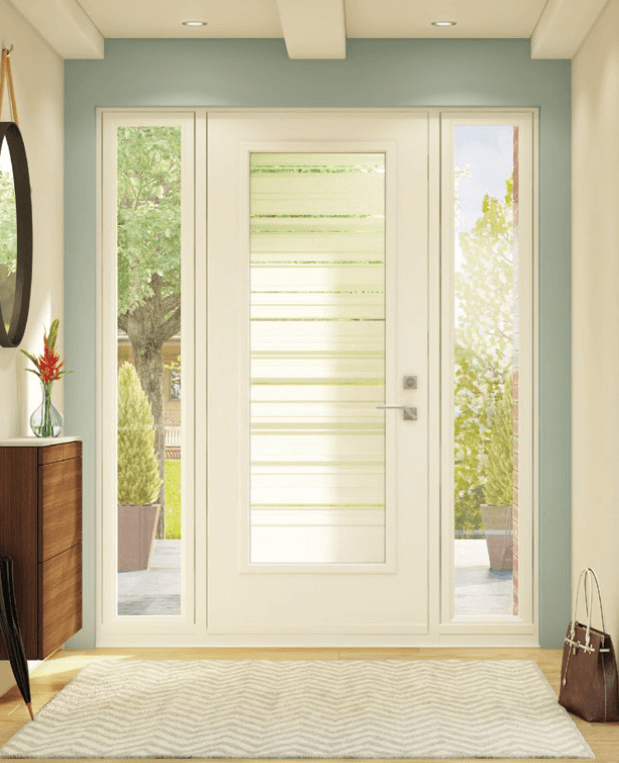 Our Fiberglass Doors are custom made for your home, so we can’t offer you a price online. Simply complete the form below and we will arrange for a visit to your home. That way we can carry out a thorough inspection and give you a definitive quote for Windows and Doors that will not only meet your requirements, but also add beauty and value to your home. Contact us to tour our showroom and view many options of Fiberglass doors and hardware. A wide variety of doorlights are available for our fiberglass Doors. Reviewing the attached brochure will help you determine the best door light depending on the amount of light and privacy you require. If the product is installed in a new residential dwelling and the first occupant owns the dwelling or an existing owner-occupied residential dwelling. At the time of installation such owner is also responsible for product replacement. That owner is a Residential Warranty Holder. Assume the product is installed in a condominium unit in a multi-resident building. If the first occupant of the condominium unit is the first owner of that unit and is also responsible for product replacement, that owner is a Residential Warranty Holder. However, if the owner is not the first occupant, they are responsible for product replacement, then the owner is not a Residential Warranty Holder. If the Product is installed under conditions in which no one qualifies as a Residential Warranty Holder as described above, then the Warranty Holder is the owner of the dwelling or building in which the Product has been installed at the time of installation (and its builder and contractor). That owner is classified as a Commercial/Multi-Resident Warranty Holder. For example, this includes owners of commercial or investment buildings, or multi-resident premises in which the occupant is not responsible for Product replacement whether or not the occupant owns the residential dwelling unit in the premises (including by example, certain condominiums, town homes, duplexes, apartments, cooperatives). Cossins offers a variety of Fiberglass door hardware styles in many finish options to match any home. Find the your style and finish by using the information below. Multipoint Hardware is also available on our Fibreglass doors.